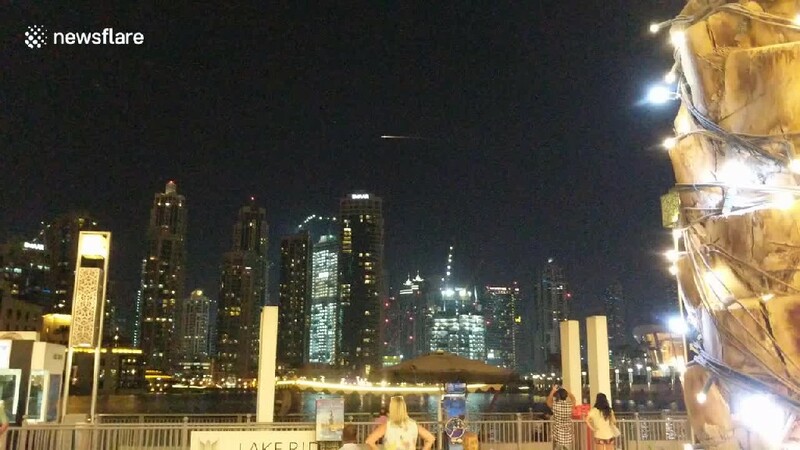 Extraordinary video has emerged of parts of an unmanned Russian spaceship burning over Dubai. In video filmed on Monday evening (October 16) by Dublin-based IT professional Mikhail Pozdeyev, a meteor-like object can be seen burning through the sky. Pozdeyev writes: "My first thought that it was a plane, but shortly afterwards I doubted that as it was crossing the sky faster and leaving a glare - I told my wife that it must be a nuclear rocket. "People around were also a bit shocked looking at this object crossing the sky. For a minute after the video I seriously thought that we should expect a sound blast coming our way and see a mushroom-like cloud on the horizon, so I rushed to ask for the bill. "Fortunately, none of this happened and later in the evening I have googled this and confirmed that it was a blunt angle meteor entering the atmosphere."